One more retro kick from Jordan Brand is expected to make waves starting today as JB releases the newest edition of the 11th Air Jordan retro kick. 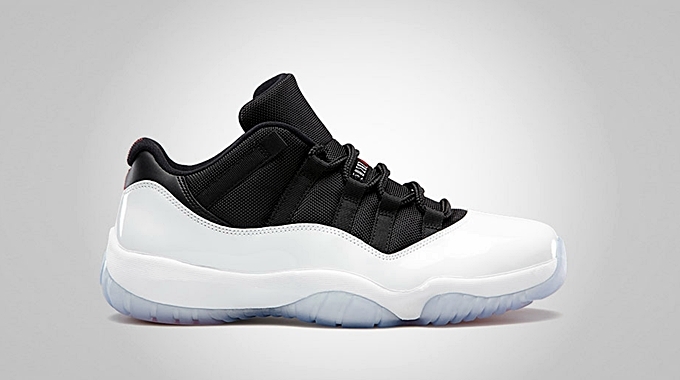 The Air Jordan 11 Retro Low is now available in White/Black-True Red colorway. The shoe features a black cordura upper that was paired with a white patent leather mud guard and red Jumpman branding. It also sports an eye-catching icy translucent rubber outsole. This is a limited release so make sure to grab your own pair immediately!